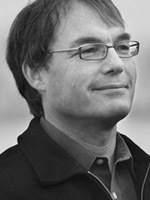 Prof. Holger Preuss is Professor of Sport Economics and Sport Sociology at the Johannes Gutenberg-University in Mainz, Germany and for Event Management at the Molde University College, Norway. He was visiting professor (2010-2013) at the University of East London and is international scholar at the State University of New York (Suny, Cortland) since 2006. His research focuses on economic and social implications of mega sport events, event legacy, sport tourism and event marketing. From 2010 till 2013 he will be visiting Professor at the University of East London, School of Business. 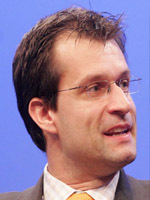 Holger Preuss is Associate Editor of the Journals European Sport Management Quarterly and Journal of Sport & Tourism. He also is an editorial board member of several other international Journals (International Journal of Sport & Finance, Sport Management Review, International Journal of Sport Policy und Nordic Sport Studies). He has published 7 books and more than 50 articles in international journals. During the past decade he has been invited to more than 130 presentations all over the world. Dr. Rob VanWynseberghe is conducting two studies on the social, environmental and economic impacts of 2010 Vancouver and Whistler Olympic Games on the lower mainland community. The intention of this research is to examine mega-events and how these can be leveraged to maximize their benefits (e.g., capacity building, training, etc). In addition, he is conducting action research on inter-institutional and transdisciplinary collaborations in the classroom. The purpose is to develop sustainability programming. He has recently completed a study on tobacco taxation in First Nations and Inuit communities in BC and Canada. This research scopes out the challenges and benefits of tobacco taxation to health promotion programs that support healthy Aboriginal communities. Dr. VanWynseberghe is actively researching the definitions and uses of case studies and the creation of a cross-case analysis database. The purpose is to extend the utility of case studies by providing the means for their being compared and contrasted with other case studies.